And in the continued stream of upcoming titles being held back, Skullgirls developer Lab Zero have announced that their upcoming mystical RPG, Indivisible, will not make its scheduled 2018 release. "While we did everything we could to prevent this from happening, the simple reality is that Indivisible ended up being a much larger project than we could have anticipated," reads the game's latest blog post. "This was not a decision we made lightly, nor did we make it alone. Needing more time to finish the game meant that we also needed more money. Fortunately, 505 Games has graciously funded the majority of the extension, and Lab Zero will be kicking in our Skullgirls royalties to cover the rest." The post goes on to assure fans that the game will not be cutting any planned content, despite these issues, with Lab Zero confident that the game will retain its original scope and ultimately deliver the magical adventure that the community are hoping for. Indivisible was, genuinely, one of my most anticipated games of this year, so this is real bum news. I'd much rather get a great game than a rushed one or, even worse, no game at all. I'm sure many of you fans feel the same. 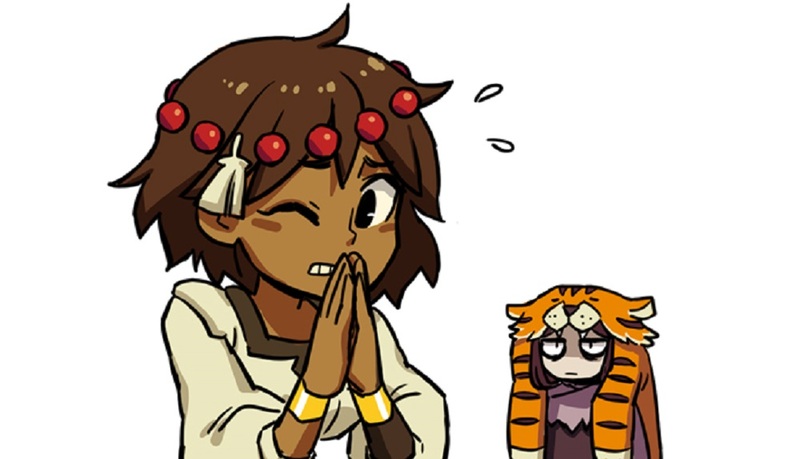 Here's hoping that Lab Zero continue to push through their trials and tribulations to bring Ajna and her amazing friends to us soon. Indivisible is scheduled for release on PS4, Xbox One, Switch and PC in the first half of 2019.